Not having HBO, I have finally caught up with the first two seasons of Treme, the David Simon series set in New Orleans post-Katrina. Starring familiar faces from "The Wire" (Clarke Peters, Wendell Pierce), featuring just about every New Orleans musician you can name off the top of your head, it's as good as you would expect from Simon, meaning really good. More Evan Christopher, please. More glimpses of Irvin Mayfield's jazz club on Bourbon Street. Bring the celebrity chefs to NOLA when Janette gets re-settled. Don't kill off any more characters if you don't mind. Patrick Jarenwattananon of NPR's A Blog Supreme both "truly, truly enjoyed the program" and is also "professionally obsessed" with it, due to the richness of the music and the sure thing of musician sightings in every episode. He "vivisected" every episode, often in partnership with WBGO's Josh Jackson. Worth reading. At nola.com, see the "'Treme' Explained" series of articles. New Orleans, 25 months later. Crime and corruption are up, culture is being trampled, and the people who matter – the workers, families and dreamers who still live here – have had enough. 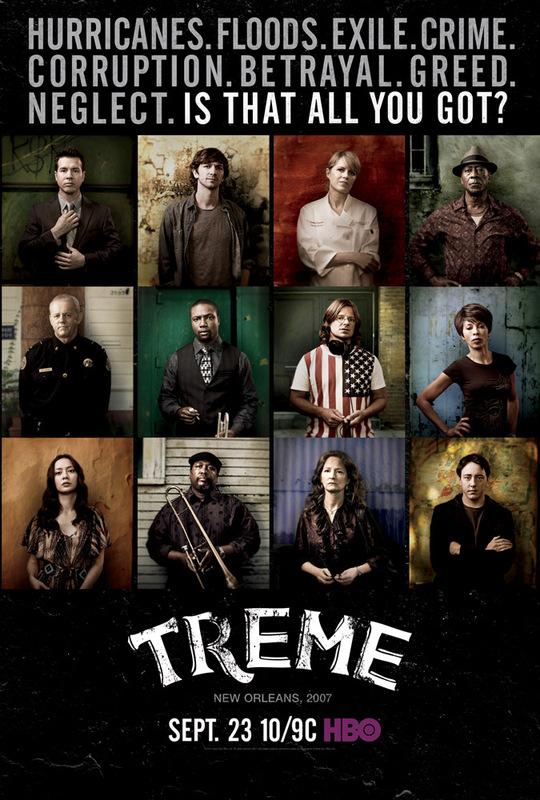 HBO’s drama series Treme revisits the musicians, chefs, Mardi Gras Indians, and other familiar New Orleans characters who continue to rebuild their lives, their homes and their culture in the aftermath of the 2005 hurricane that caused the near-death of an American city. In Season 3, which takes place from Fall 2007-Spring 2008, rampant crime and government ineptitude continue to cripple the city’s recovery, with outside profiteers looking to cash in on short-term gains. The series’ focus is still on ordinary people, but they no longer accept their lack of influence on the institutions that have controlled the city. Diminished by grief and loss, but fed up with incompetence and graft among police and city officials, the characters in Treme begin to make inroads in demanding that their music, art and well-being be protected. Through a murder prosecution that unites several players, Treme will also explore the city’s handling of justice, schools and politics, while charting the inspiring, grassroots efforts to preserve the individuality of this most iconic of American cities.